Thin Metal Parts offers high-precision electroformed metal mesh, manufactured with a proprietary process. 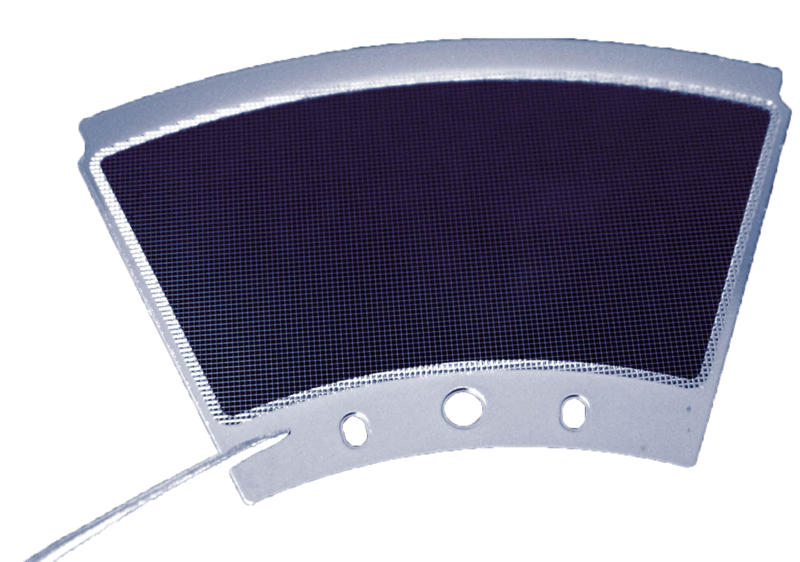 Electroformed mesh and metal sieves achieve the highest standards for optical light transmission (OLT), scientific devices, as well as for gas and liquid filtration applications. Compared to woven mesh, Thin Metal Parts's non-woven metal mesh is all one solid piece with a smooth finish. 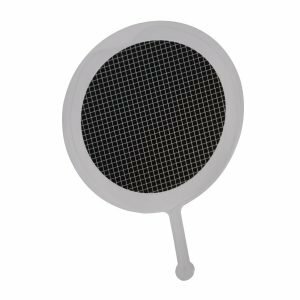 Using electroforming technology, sieves (typically a round hole for filtration, or mesh (typically a square hole for filtration) can be created for many different applications. Thickness: Mesh is available in a wide range of thicknesses to suit the design requirements of each specific application. When strength is a concern, this process produces a product at greater thicknesses than woven wire or even other electroforming techniques. Alternatively, electroformed mesh can be produced at very fine thicknesses down to 10 microns. Non-woven: Unlike woven wire mesh, electroformed mesh is a single, flat piece of metal. By eliminating the criss-cross wires, this mesh will not trap particles...making cleaning more efficient. Additionally, light transmission can be maintained within a ±2% transmission tolerance. Corrosion resistance: Produced from 100% pure nickel with no plating to wear off, electroformed metal mesh has natural corrosion resistance that will not diminish with time. Custom high-temperature option: Through a custom-developed process,electroformed mesh and metal sieves can withstand temperatures exceeding 500°C for decontamination and tensioning requirements. Custom manufacturing: Electroformed mesh by Thin Metal Parts is highly customizable by variations in wire width, hole size, thickness, hole shape and overall shape. A nearly limitless number of product configurations are available. Furthermore, utilizcutting-edgeedge photolithography manufacturing techniques allows for customization to occur without long delays or increase in prices. Utilizing Thin Metal Parts' proprietary electorforming process, precise metal mesh and sieves that block up to 50% of light with a ±2% light transmission control tolerance can be created. Every mesh and sieve application can be achieved. Contact or call Thin Metal Parts at (719) 268-8300 to learn more.